- Are you dreaming of a white Christmas? 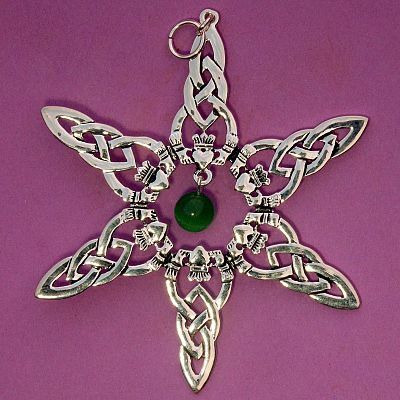 Each arm of this snowflake ornament is comprised of a Celtic knot with a claddagh at the end. 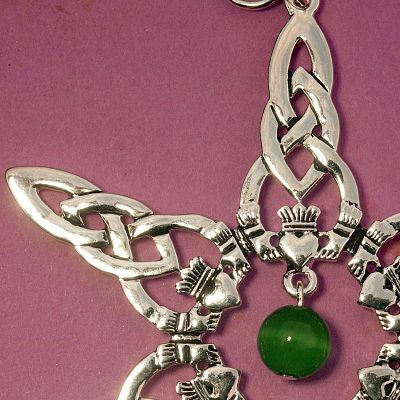 In the very center, a green cat's eye gem adds an extra sparkle. These make delightful gifts for the holidays, but don't forget to keep one for yourself. Made of silver-plated pewter. Measures 3" from top to bottom. 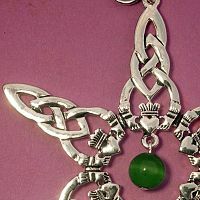 Do you have any other questions about our Claddagh Tree Ornament with Bead? I love this ornament. 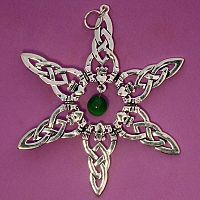 It is lovely and goes wonderfully with the "theme" of our solstice tree.